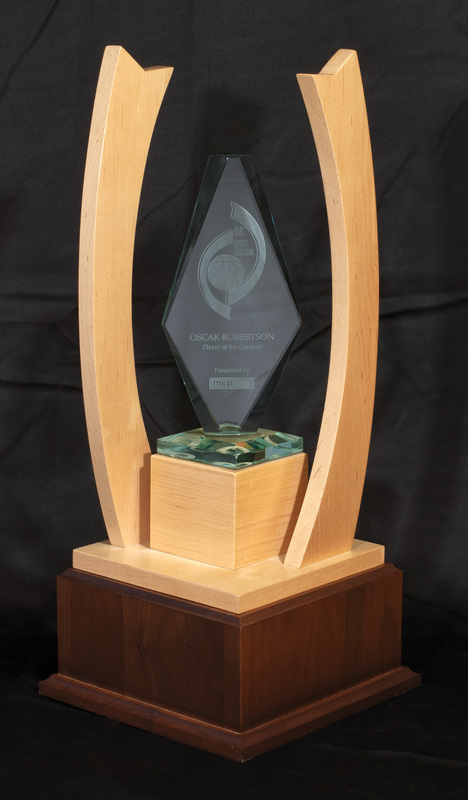 In 2000, the National Association of Basketball Coaches convened to select one player deserving of the title “Player of the Century.” Although there have been many outstanding players during the 20th century, none stood out more than Oscar Robertson. 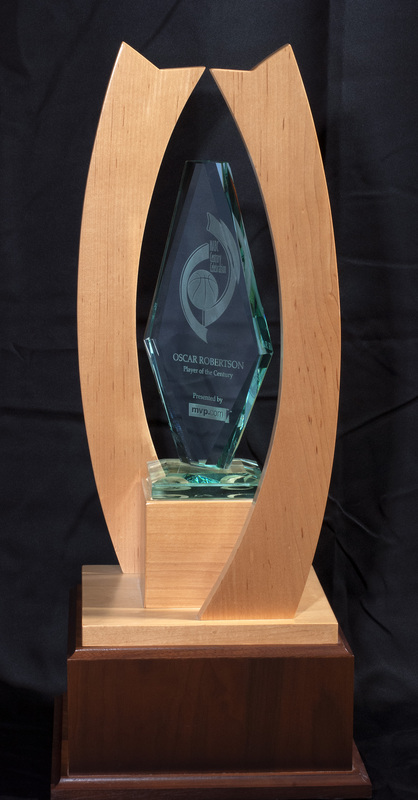 Not only was “The Big O” responsible for leading his teams to 10 playoff appearances in his 14-year NBA career, but Robertson also led his college team to a pair of Final Fours and was co-captain of the Gold-winning 1960 Olympic team. Off the court Robertson was a true leader, establishing scholarships to needy students and even donating a kidney to save his daughter. 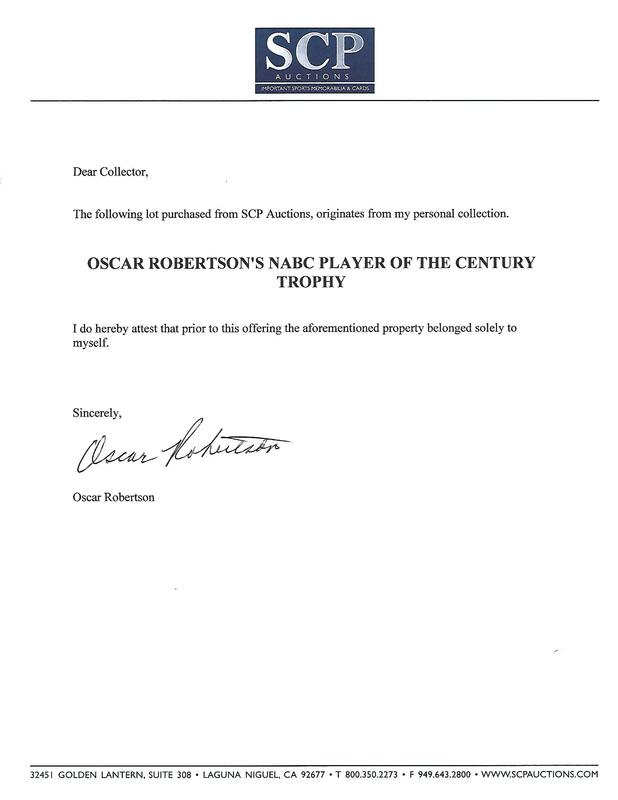 With a resume like that, it is no wonder that the NABC chose Oscar Robertson as their “Player of the Century.” In recognition of this honor, Robertson was presented with this impressive trophy. 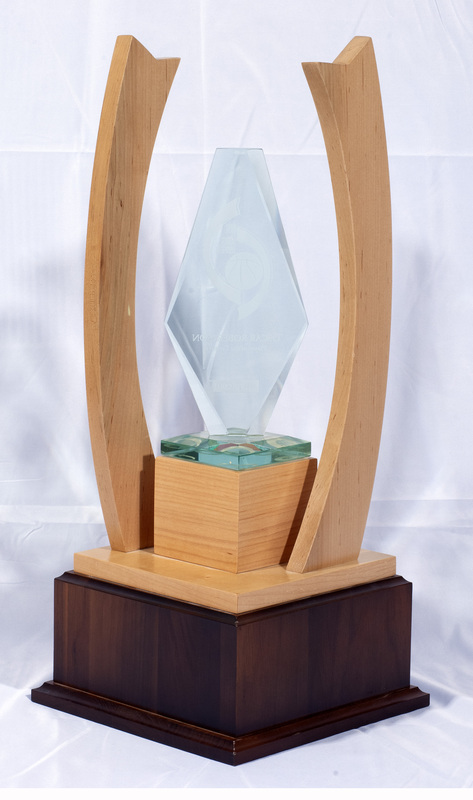 Standing 23.5" tall upon a 10 x 10 x 4.5” wood base, the impressive 10-lb. 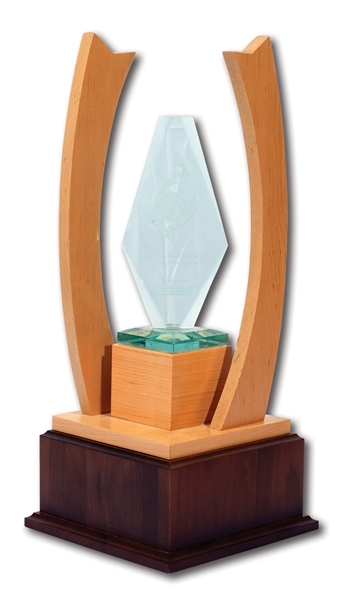 trophy is constructed of two-tone oak and mahogany wood surrounding a striking crystal centerpiece upon which “OSCAR ROBERTSON PLAYER OF THE CENTURY” is engraved. 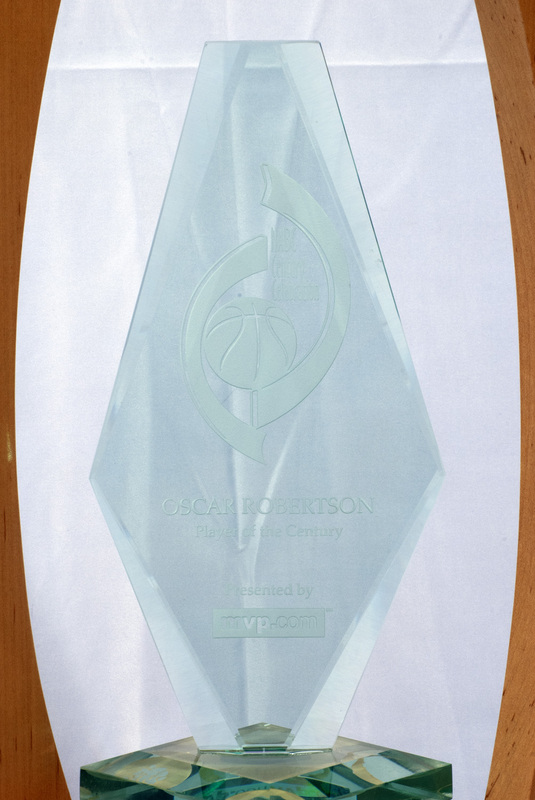 A one of a kind piece that pays tribute to Oscar Robertson’s life both on and off the court. Includes LOA from Oscar Robertson.